is lower than 40. In this case, however, concomitant diseases from the metabolic syndrome group must occur. 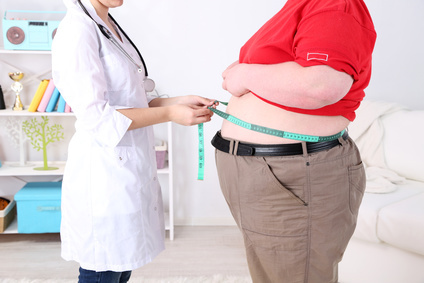 Currently, the most commonly performed surgeries are the following: laparoscopic sleeve gastrectomy, gastric bypass, mini gastric bypass and, less frequently, adjustable gastric band which, as a treatment method, tends to be abandoned by bariatric treatment centres. Dr Wieslaw Pesta, M.D. : We believe the treatment to be effective if it is to result in reaching normal body weight and maintaining it without the yo-yo effect. It is considered that the effectiveness of surgical treatment is, depending on the surgery type, between 80-85%, and this rate, when compared to 1-8% of effectiveness of the conservative treatment, is absolutely incomparable. 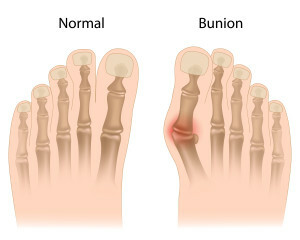 Hallux valgus is a civilization disease affecting mostly women who represent more than 85% of all patients. The most effective option is surgery. The legs after surgery are not in plaster cast and owing to special shoes the patient can stand, which facilitates returning to everyday routine activities quickly. After the surgery, the patient undergoes 6 week-long rehabilitation. Full recovery occurs about 8 weeks following the surgery. The causes for the occurrence of hallux valgus are not just limited to inadequate shoes. The incidence of hallux valgus can be also genetically conditioned, and genes are the most important predisposing factor. Moreover, in female patients hormonal factors are also significant as during the menopause the tissue tension is reduced; then, even a pre-existing minor deformation may significantly deteriorate, says Dr Alina Blacha, M.D. The group of patients at risk includes mostly men suffering from intense snoring. This disease also affects elderly women with endocrine disruption. In addition, the risk in both cases is increased by obesity and hypertension. How should these patients be treated? avoiding drinking alcohol before bedtime can be also helpful. If patients suffer from sleep apnoea, the treatment begins with a thorough examination of how the body reacts during sleep. Depending on the diagnosis, the treatment may evolve, too. Professor Kamal Morshed, M.D., explains that to clear the upper airway, surgical procedures on the nasal septum, the soft palate and / or tonsils, nasal turbinates or nasal polyps can be performed. Yet, if snoring is caused by anatomical defects, a surgery is the best solution. Surgical treatment of flat foot (pes valgus and pes planus) has not enjoyed much popularity due to the need for wide surgical access. Dr Tomasz Raganowicz, M.D., states that the result of more than 30 years of experience is a biodegradable CALCANEO STOP implant capable of correcting the flat foot (pes valgus and pes planus) deformation. It can be used both in children, starting at 7-8 years of age, and in adults. The operation of the external nose and nasal septum - rhinoseptoplasty – consists in surgical correction of defects or deformations of the nose and the nasal septum. The incision type used by the surgeon is classified either as open or closed rhinoseptoplasty. The wounds are usually invisible just one week following the surgery. In some cases following nasal traumas or in re-surgeries, reconstruction of the nasal framework using cartilage fragments may be necessary. The patient undergoing a nasal surgery should acknowledge the potentiality of nasal and facial swelling which usually subsides after a few days. Dr hab. Piotr Trojanowski, M.D., stresses that the condition for successful treatment is mutual understanding between the patient and the doctor. The physician should explain to the patient what changes in the nose are allowed by its anatomical structure. It must be remembered that it is the individual anatomy of the nose and face that is a decisive factor affecting the final result of the surgery. The procedure involves implanting a synthetic tape supporting the urethra in its middle section. The procedure can be performed under general or regional anaesthesia. Professor Tomasz Rechberger explains that it is recommended to perform urodynamic tests that specify the type of urinary incontinence, as well as bacteriological analyses and tests of the urine before the surgery. In women suffering from concomitant diseases, prior consultation and specification of potential additional tests and examinations are also recommended. 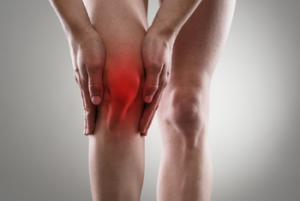 Ligament rupture usually occurs due to a sudden movement or excessive muscle tension. Treatment of damaged ligaments in ŻAGIEL MED covers minimally invasive surgical techniques. The procedure is performed under the control of a camera and a very small lens that allows to observe the inside of the joint. The surgery involves two approx. 5-8 mm long incisions. The aim of the treatment is to reconstruct the anatomical and biomechanical function of the cruciate ligament, and thus to prevent the development of early degenerative changes. A damaged ligament can be replaced by a transplant from the patient’s other tissues. An indication for anterior cruciate ligament reconstruction is joint instability felt by the patient, the feeling of "an unstable knee” and "a joint giving way". Reconstruction is one of the main factors preventing the formation of secondary damage to cartilage surfaces and the knee meniscus. It should be carried out no later than 4-6 months after the initial injury. What kind of surgery is it? and implanting an artificial component that is to take over the function of the damaged structure. (general anaesthesia is not used).